A bottle of hydrogen peroxide in the medicine cabinet is a must. It is a natural anti-septic, it has whitening properties, and it can be just as effective as bleach. 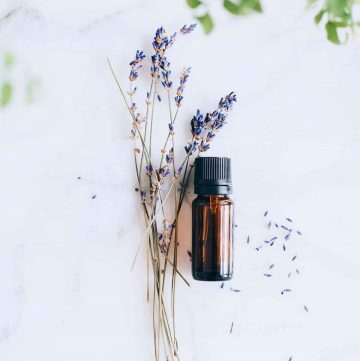 Not only can you benefit from its antiseptic properties by applying it to minor cuts and burns, but you can use it for cleaning the kitchen and your skin. 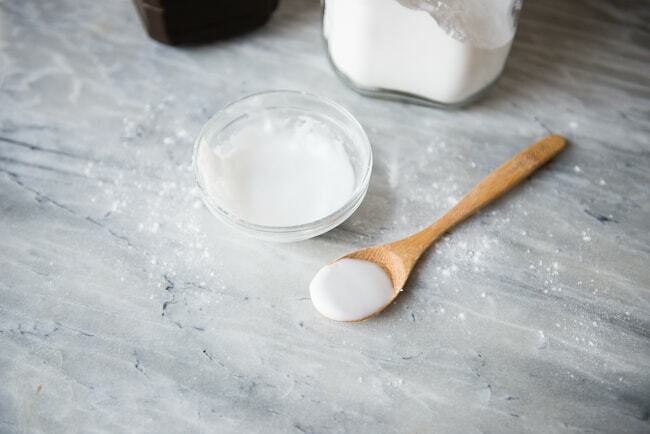 It’s a must-have ingredient in variety of homemade cleaning products, as well as recipes to whiten your teeth, nails or armpits. That’s a lot of pressure for one product! No wonder hydrogen peroxide is one of our all-time favorite green ingredients. Curious to see how you can include it in your household? 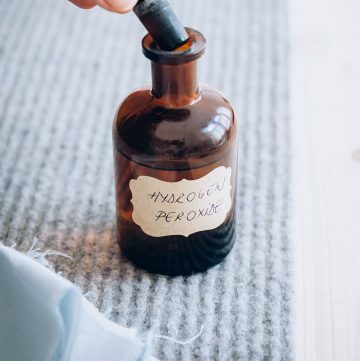 Scroll down for our favorite ways to use hydrogen peroxide. 1. 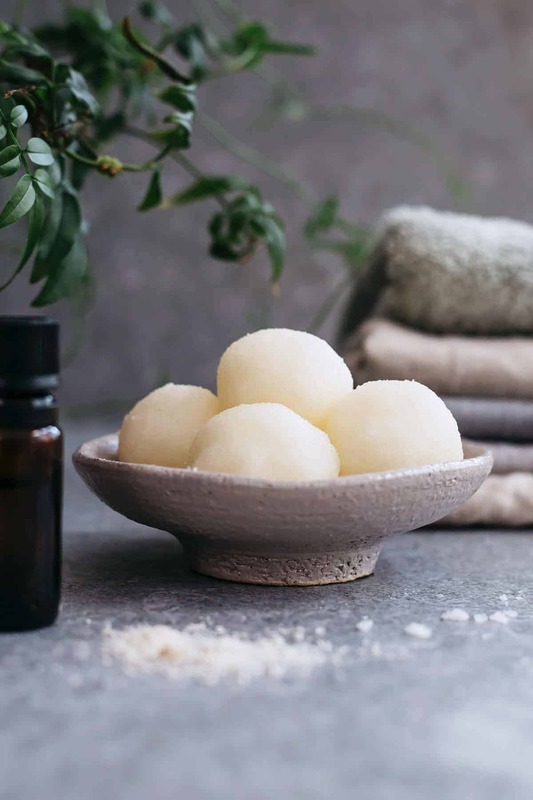 All-in-One DIY Laundry Bombs // Laundry just become more convenient with these all-in-one laundry bombs! 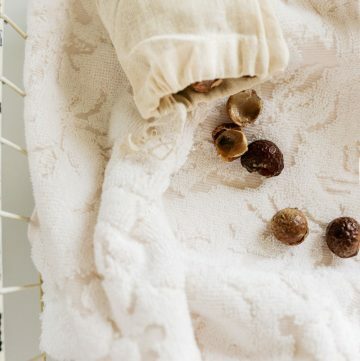 Made with laundry soda, hydrogen peroxide, epsom salts, and white vinegar, they’re everything you need for a fresh load of laundry. 2. Clean a Cutting Board // Wooden cutting boards require a different treatment than regular dishes. 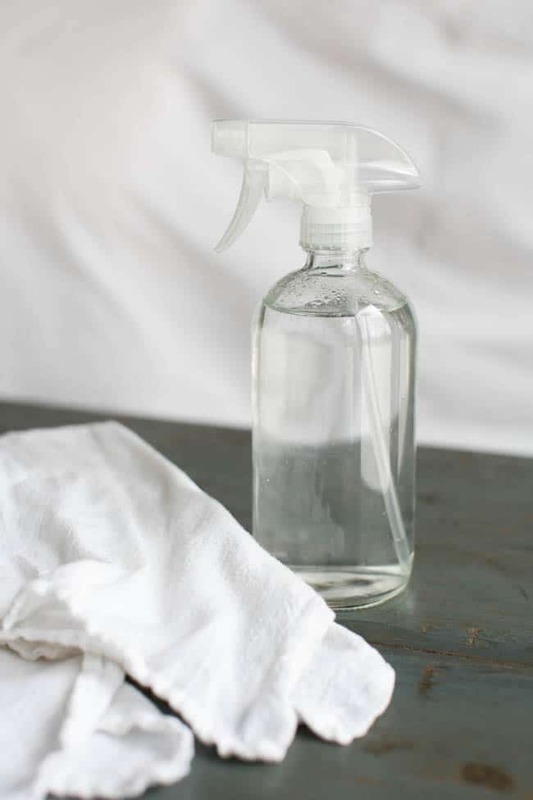 Vinegar and hydrogen peroxide are the perfect pair for disinfecting them without destroying the material. 3. All Purpose Cleaner // This natural bleach alternative is all you need for spring cleaning! 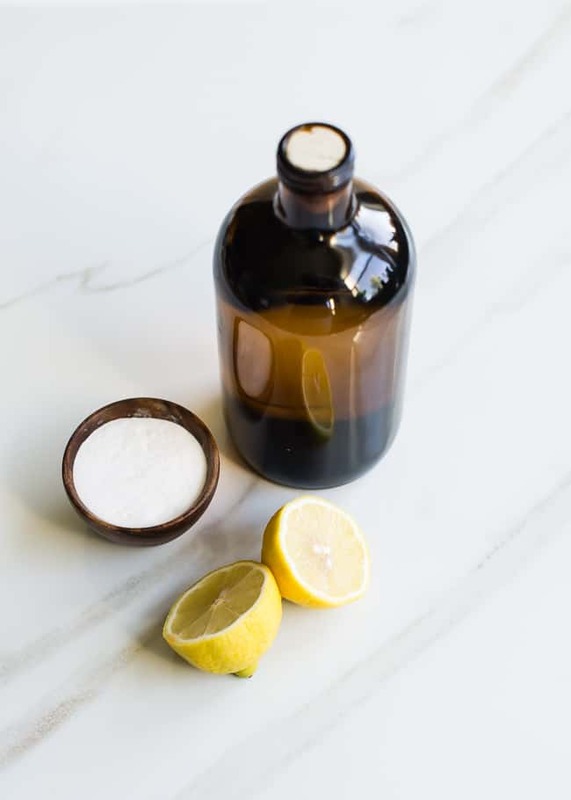 Hydrogen peroxide and vinegar don’t belong in the same bottle, but they work wonders together, so simply apply successively on the desired surface. This cleaner might take two bottles, but you won’t be needing much else to keep the house clean. 4. Clean Carpet stains // Our favorite carpet stain remover is just one ingredient. You guessed it: it’s hydrogen peroxide, and it does wonders. 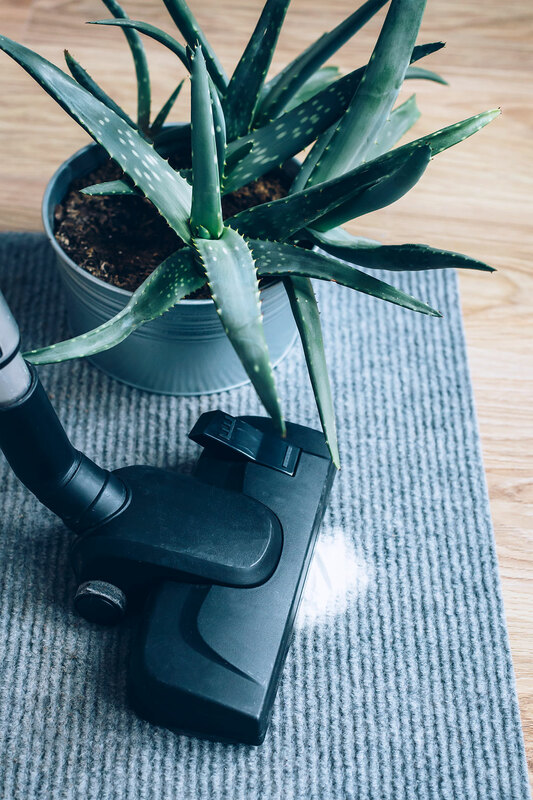 Next time you clean your carpet, you might notice stains you had forgotten about… After cleaning and deodorizing with baking soda and essential oils, make sure to dab on some hydrogen peroxide on the stain, and forget it ever existed. 5. 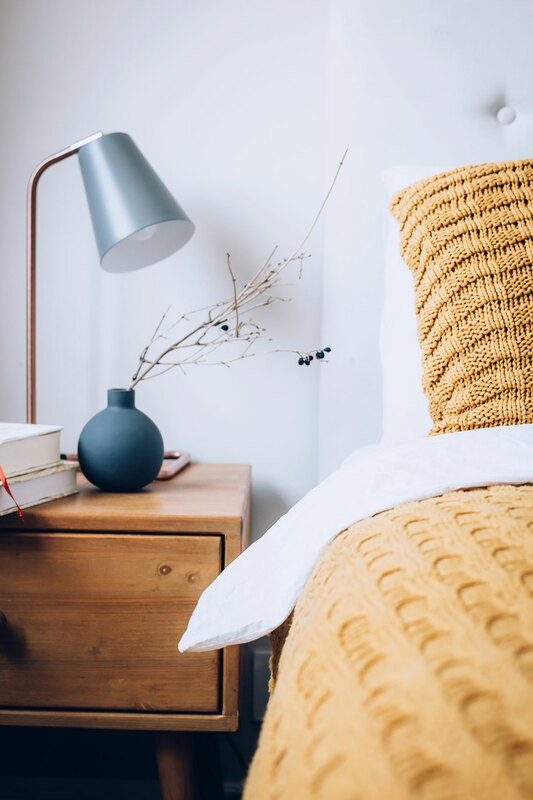 Clean Mattress Stains // Remove blood stains from difficult to clean areas, such as your mattress, by making a scrub with hydrogen peroxide, dish soap, and salt. Our superstar hydrogen peroxide also works well on classic summer spills, such as grass, coffee or sweat. 6. 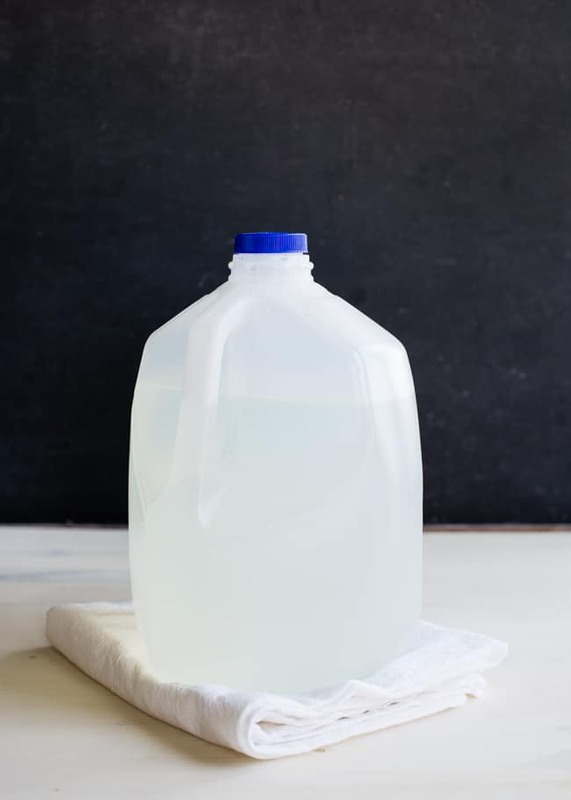 Clean humidifier // To clean your humidifier from the inside out, make a combination of one pint hydrogen peroxide to one gallon of water, and pour it in. 7. Bleach alternative // Two natural ingredients are enough to make you get rid of chlorine bleach forever: lemon and hydrogen peroxide. 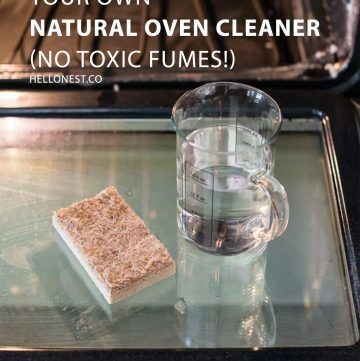 It’s a great natural alternative to chlorine bleach’s powerful fumes and toxic makeup. 8. 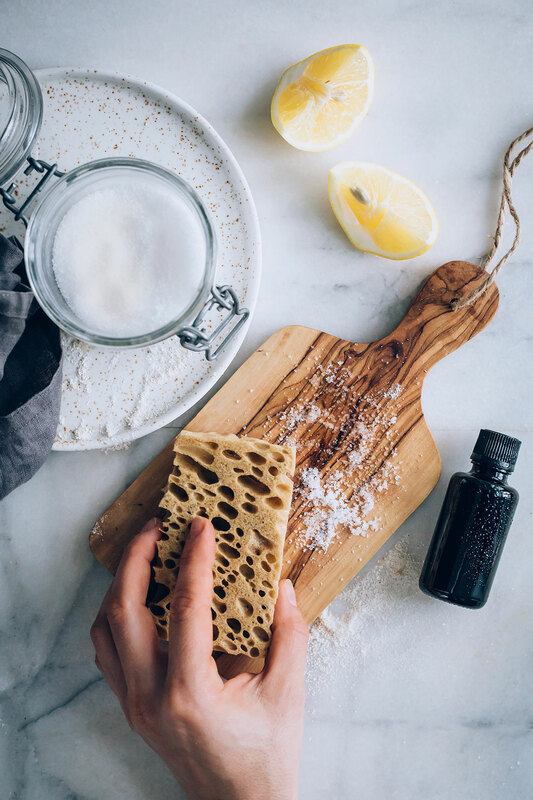 Clean makeup brushes // Get rid of the dreaded bacteria on your makeup brushes and sponges by soaking them in warm water with castille soap. Rinse, then soak in a 50-50 mix of hydrogen peroxide and water and rinse again. 10. Toilet bowl cleaner // Make your bowl shiny again by pouring hydrogen peroxide directly into it and let sit for half an hour before scrubbing with a toilet brush. 11. Disinfect fridge spills // If you’re cleaning up spills from raw meat or poultry, wipe up the spill, then wash the area with hot water and disinfect with a spritz of hydrogen peroxide or full-strength white vinegar. Let stand for 5 minutes, then wipe dry. 12. Erase sink stains // For stubborn sink stains, try cream of tartar. It’s an acid cleaner with scouring power. Combine with a bit of hydrogen peroxide to make a paste and apply it to the stain. Let it sit for about 5 minutes then scrub and rinse off. 13. 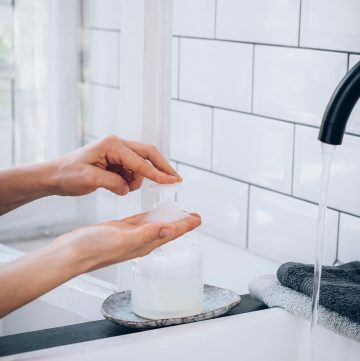 Brighten whites // Keep all your whites looking bright by throwing ¼ cup of fresh lemon juice plus 1½ cups hydrogen peroxide in the wash during the soak cycle. Or combine peroxide with super washing soda for a natural laundry booster. 14. At-Home Manicure // Nail polish often leaves more than the desired color behind, and yellow or discolored nails aren’t on anyone’s wishlist! Give yourself a salon-worthy manicure at home, and make a paste of hydrogen peroxide and baking soda to massage on the nail beds and clean and lighten them for your next at-home mani. 15. Lighten Underarms // With spring on the way, you might be thinking tank tops or swimsuits. Are you also thinking armpit care? Make use of hydrogen peroxide’s lightening properties to give your underarms a more flattering look. Lighten dark pits with a natural combination of lemon, hydrogen peroxide, and baking soda, and feel free to put your hands up in the air. 16. 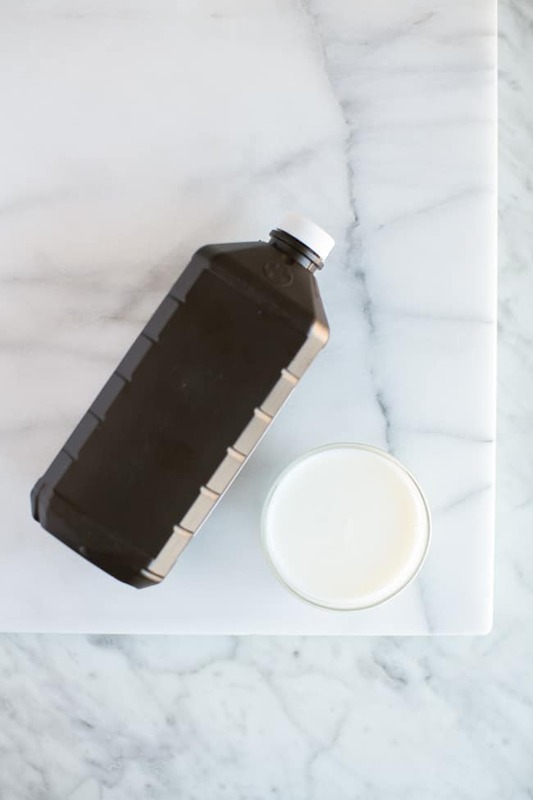 Age Spots Remedy // Apply a mixture of hydrogen peroxide and whole milk to age spots to get rid of uneven skin tone. The combination acts as a natural bleaching agent, leaving the skin lighter.